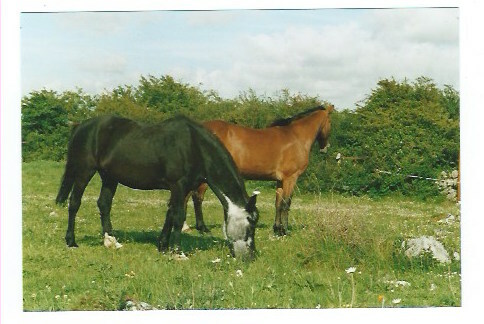 Our riding school was established in 1984 and is approved by the British Horse Society (BHS). We are only 15 minutes’ drive from Galway City, in the heart of Corrib Country. We pride ourselves on providing individual attention to riders of all levels. Our motto – riding for pleasure and not under pressure – reiterates our belief in riding as enjoyment. Therefore, we will support our riders in achieving their goals safely, and your & our horses welfare is paramount. All standards of riders, both beginners and advanced, are very welcome. Tuition takes place in outdoor menage or indoor school, very suitable for novice or nervous riders. Due to increasing road traffic, we regret that we are unable to provide trekking. Contact us on +353 87 9111738 to arrange your lesson!